We had some very special visitors in our Worship today. 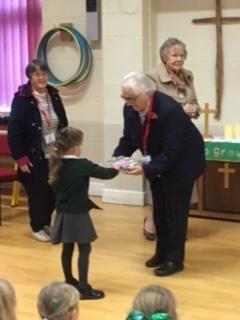 The Mothers' Union came to present the Early Years children, and any children who joined since last year, with their own bible. The Mothers' Union work very hard all year to raise money to buy bibles for our children. 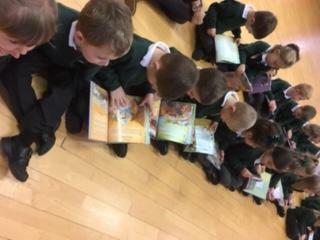 This year they presented each child with a beautiful bible story book. The illustrations are beautiful and we feel that this book will be particularly good for sharing stories together. We would like to thank the Mothers' Union for their efforts. 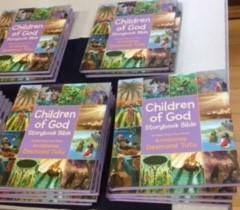 The children are delighted with their new bibles and looking forward to taking them home.